Gorgeous animal bowling pins with a bowling ball. The set also comes with a carry case for easy.. Enjoy many hours of fun playing with this Apple Path Finder. A beautifully finish toy that enha.. The Australian Animal memory game will challenge your child's mind! It will help and train a yo..
Toy walkers are an all in one solution that have multiple uses. 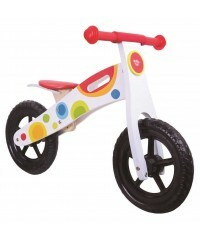 The wheels and handle bars will ..
Balance Bikes are a great introductory item to train youngsters riding a bike before they are ol..
A gorgeous Bee and Ladybird wooden music box. 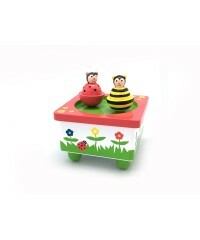 Both the Bee and Ladybird are magnetic and they w.. Enjoy many hours of fun with these Bouncing Stacking Rings. Traditional stacking rings that roc.. 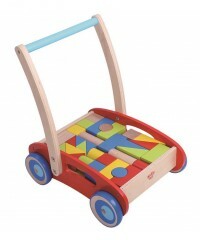 Enjoy many hours of fun and learning with this Car Walker. This walker is a blend of a tradition.. 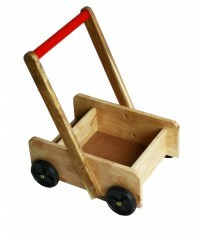 Enjoy many hours of fun and learning with this Classic Walker. The walker is solid and sturdy an..
A challenging and fun game perfect for entertainment and learning. A fabric volcano work as car.. Enjoy many hours of fun with this Ducking Doll Pram. 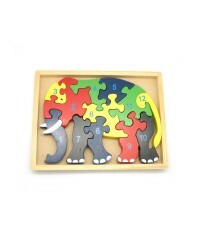 This gorgeous doll pram with bedding will ..
A basic jigsaw puzzle which helps develop problem solving and number skills. 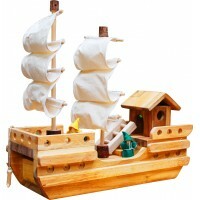 Also comes with a w..
A gorgeous Farm wooden music box. 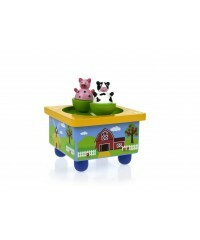 The Farm Animals are magnetic and they will spin round and ro..
A gorgeous Fish wooden music box. The Fish are magnetic and they will spin round and round when..